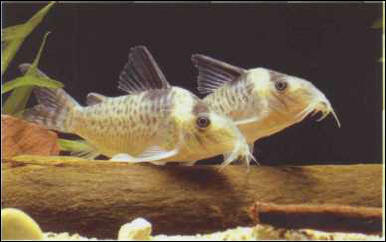 The black-sail corydoras or black-spotted corydoras has a distinctive black smudge near the dorsal fin. The female lays 100-200 eggs which hatch in a week or so. Size: 5 cm.